15 Unusual and Unique Cable Organizers - Part 2. 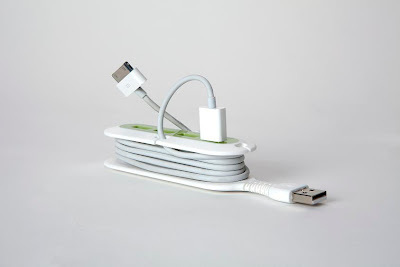 Organize your notebooks, phones and other gadgetry with these 'Unusual and Unique Cable Organizers'. 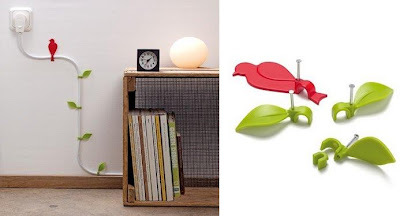 Wire Blooms Cable Clips: Its a cool way to make visible wires more pleasant to look at; these clips make attaching wires to the wall a creative task, and makes the wires part of the room decoration. Bluelounge CableClip: A cool and simple cable management solution; these multi-purpose clips can be used to manage your cables in a simple and fun way by keeping cables accessible and organized. 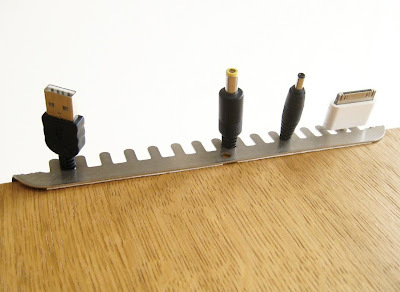 Toothy Cable Tidy: A simple cable management solution that can be attached to the edge of the desk or shelf to hold your cables. The different sizes between the teeth allow for cables of varying widths to be held securely. 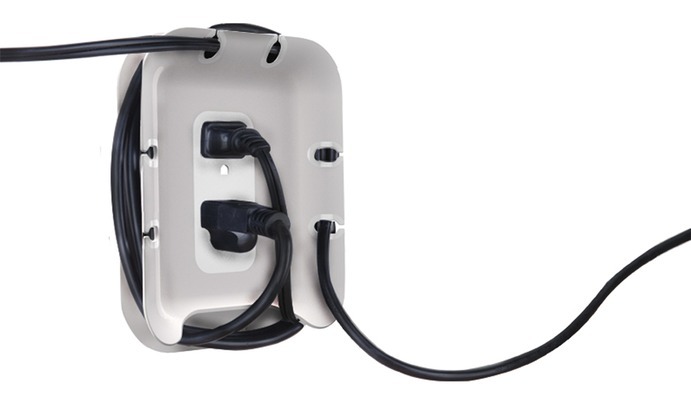 CableBox Mini: You can place this cable management tool under your desk or on it, great for hiding USB cables, router cords or adapters. 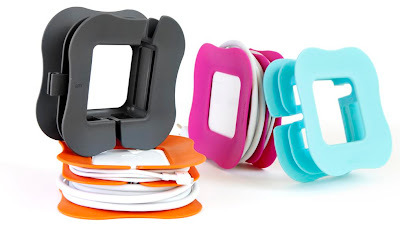 Dotz Cord Wraps: Dotz cord wraps keeps the desk organized by consolidating excess cord into a sleek, colorful and convenient case. 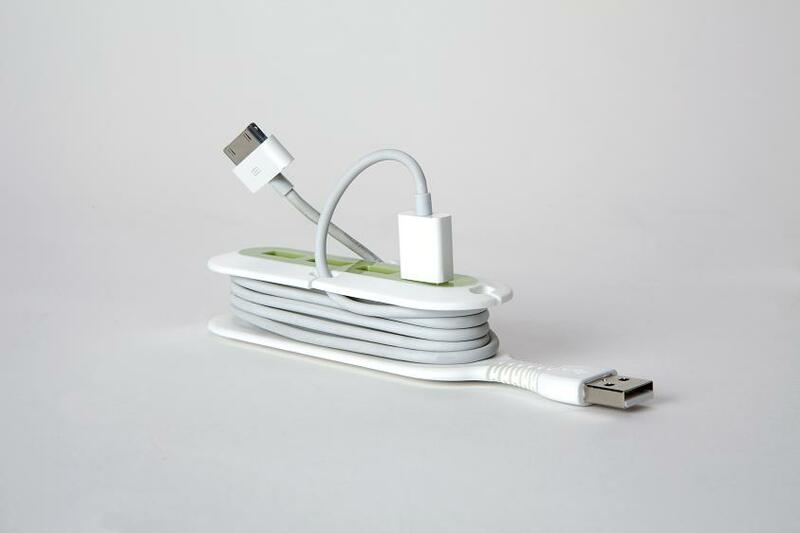 Cable Collars: This cool cord concealer wraps up the excess cables, keeping your home and office organized. 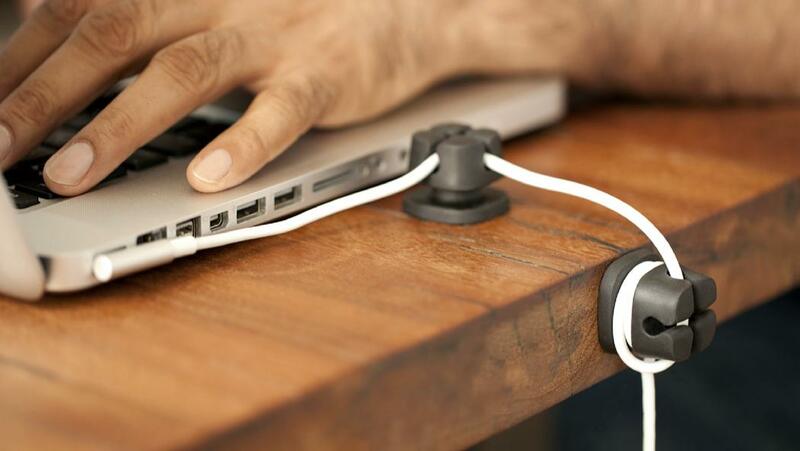 Flexible USB Hub: It's a four-port USB hub that features a built-in cord management with anchors to keep the cords in place. 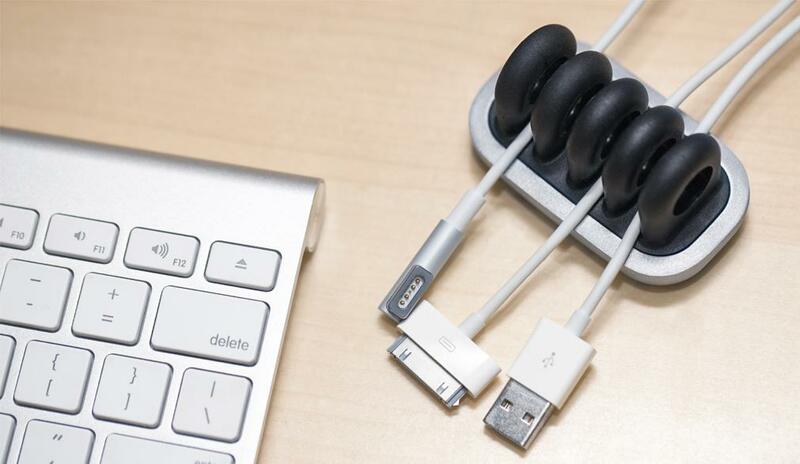 Metal Cordies: Made of sleek metal with black accents, this cable management system organizes your cables and keeps them weighted down so they don't drop off your desk when not in use. Cordlets: These will hold and direct cables exactly where you need them on your desk. These come in pack of four that gives you control over the small wires coming from your mouse, keyboard, and system, without taking up precious workspace. Plughub: An under-desk cord management station that keeps your desk untangled by hiding your powerstrip and cords in one discreet unit. 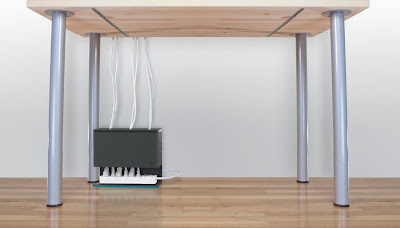 Cablox Cable Management System: It sticks under your desk, and you can run your cables through it, shorten, fasten and bundle them. 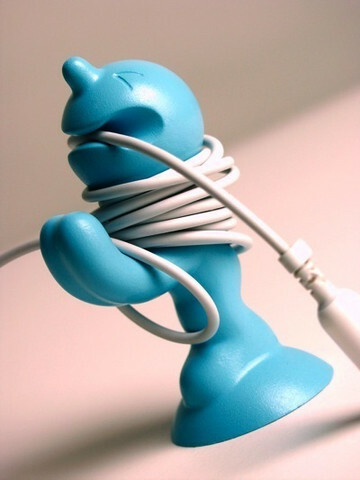 One Man Tied: Organize your home or office by tying this little guy all with computer cables, lamp cords and extension wires. Fork Cable Organizer: It takes an everyday USB or mouse cable and transforms the appearance. PowerCurl for Mac: It's a clip-on cord wrap for MacBook owners; it holds the power adapter while you can wrap the cord around it. 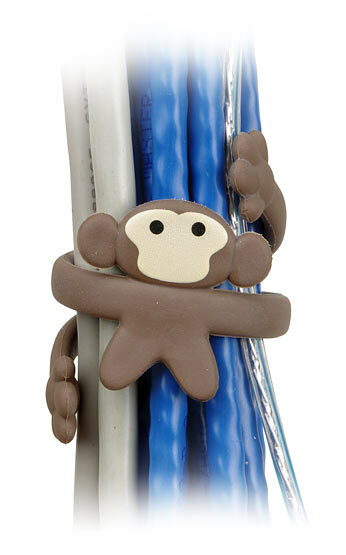 Cable Monkey Cable Organizer: The monkey will hug your cables and keep them all neat and tidy. 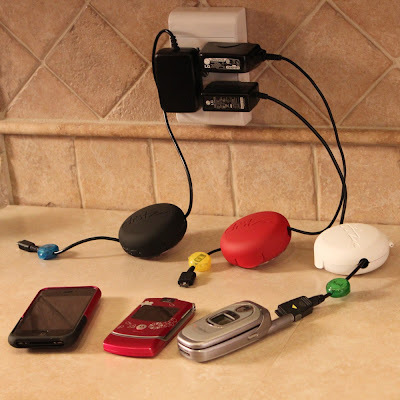 Don't miss to check out "Unusual and Unique Cable Organizers - Part: 1| 2." Creative and Cool Reuses of Umbrellas. Cool and Creative Food Rings - Part 3. 18 Creative and Cool Burger Inspired Gadgets and Designs. 15 Awesome Speakers and Modern Speaker Designs. 15 Cool and Creative Hand Carved Car Tires. 15 Coolest Wooden Gadgets and Designs - Part 2. 15 Cool Photo Frames and Creative Picture Frames. 20 Cool Products For Your Kitchen - Part 9. 15 Unusual and Unique Watering Cans - Part 2. 15 Creative and Unique Coin Banks - Part: 2. 15 Unusual and Creative Mirror Designs - Part 3.